Sacroiliac (SI) Joint Fusion: 2 bones of SI joint are fused together to form single bone and eliminate motion of joint. Recent scientific studies have demonstrated that the sacroiliac joint (SI joint) can be one of the sources of low back pain that often goes undetected (undiagnosed). Several studies have estimated that the SI joint is a source of pain in 15%-25% of patients with low back pain. Therefore, SI joint generated pain is starting to gain attention when diagnosing and treating low back pain. What is the sacroiliac joint joint? The SI joints (there are two) are where the upper and lower body meet. Specifically, the SI joints are where the lower portion of the spine connects to the pelvis. The SI joints are the place where the weight from the upper body is transferred to the lower body. Physical therapy: this will include stretches specifically for maintaining joint flexibility, and exercises to strengthen the muscles that stabilize the SI joint. Sacroiliac belt: this is used to stabilize a loose SI joint. The belt wraps around the hips and stabilizes the SI joint by squeezing the hips together. Injections: a local anesthetic and an anti-inflammatory agent are injected directly into the SI joint. Pain relief, generally, is temporary but may last several months. 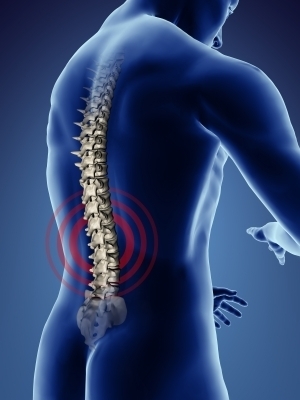 Radiofrequency denervation: this damages/deactivates the part of the nerve that causes pain. Who needs sacroiliac joint fusion? The SI joint usually responds well to conservative therapies (e.g., PT or SI belt). For SI pain that doesn't respond to these therapies, or for pain that worsens over time, an SI joint injection should be considered. For those who don't respond to non-surgical treatment options, surgical options should be considered. In fact, several scientific studies have shown that there is a subset of patients with SI joint dysfunction that are not helped by non-surgical therapies. What is sacroiliac joint fusion? In fusion surgery (also called arthrodesis) two bones are fused together to form a single piece of bone tissue. When fusion surgery is done to a joint, the two bones of the joint are fused together and the joint no longer exists. The goal of the procedure is to reduce pain by eliminating the motion of the joint. Thus, in the case of SI joint fusion, the two bones of the SI joint are fused together to form a single, solid bone. This eliminates motion between the bones of the SI joint and also prevents stretching of surrounding ligaments, muscles, and nerves. A bone grafting material is used to stimulate the fusion process. The bone graft will be placed in the space between the two bones of the SI joint. There are a range of bone grafting materials that a surgeon can use. How is sacroiliac joint fusion performed? SI joint fusion takes about an hour and is performed with the patient under anesthesia. The patient is placed face down and a small incision is made above the SI joint (on the side of the buttocks). The skin, muscles and other tissues are retracted (gently moved) to allow the surgeon access to the SI joint. The interior surface of the joint is prepared by removing the cartilage lining. What happens after sacroiliac joint fusion surgery? After surgery, the patient is moved to an intensive care unit (ICU) for close monitoring of their vital signs. They will remain in the hospital for a period time; the duration of the postoperative stay can vary.